Original manufacturer's Belt. Not a knock off. 5/8" x 137.5". (2) Outer Blades. (1) Inner Blade. Cut Direction: Right. Fits Models Woods/Hesston: 70104. This is why the model & serial numbers must be referenced to find the correct part. We will get back to you as soon as possible. THAT USE THE PART NUMBERS LISTED ABOVE. WIDTH: 2-1/2". OUTSIDE HOLES: N/A. 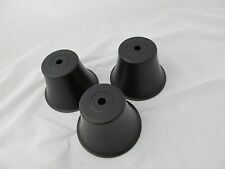 Up for sale is a new set of 3 OEM plastic deflector for the mower blade spindle. Due to California's Proposition 65 this item is not available for sale within the state of California. 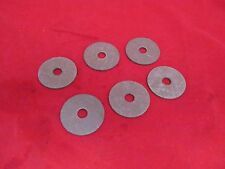 Up for sale is a new set of 6 fiber washers. Due to California's Proposition 65 this item is not available for sale within the state of California. They are high quality and hand sharpened (not pressed) and is the sharpest blade on the market. Center hole dia. As good if not better than OEM. Fits Models: 52" CUT MODELS. Part Number: 13463. 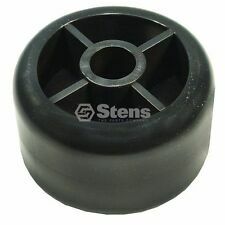 STENS 320-040. OREGON 91-532. Complete with a sales, parts and service team. The overall length is roughly 12 1/2". Complete with a sales, parts and service team. It will only fit specific model and serial numbers. 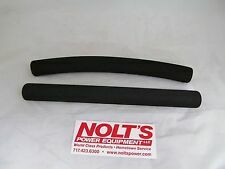 Up for sale is a set of 2 new OEM foam handle grip. Due to California's Proposition 65 this item is not available for sale within the state of California. We buy direct and pass the savings to you. Proprietary Construction features an unbeatable combination of flex and load carrying capacity, reduced stretch and incredible cord adhesion properties. Smooth operation during frequent and severe shock loads. PART # 382085. The Model number is usually under the seat of your mower. Wildcats Wholesale Lawn and Garden. Kevlar Belt -- NOT CHEAP CHINESE BELT! We will need your mowers model number (located on the inside of the left fender, beside seat) and the serial number. Trending at $24.43eBay determines this price through a machine learned model of the product's sale prices within the last 90 days. Up for sale is a new set of 3 fiber washers. Due to California's Proposition 65 this item is not available for sale within the state of California. Husqvarna: 532197242. Craftsman: 197242. The wrapper protects the inner layer, strong durabiIity. Small friction and large transmission effect during operation. Less noise during operation. Prevent the generati on of the static and keep safe use. 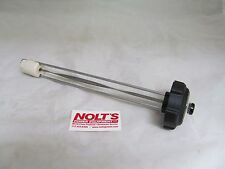 Up for sale is a new OEM swivel spring part number 283820. Due to California's Proposition 65 this item is not available for sale within the state of California. These tires are classics! We recycle! Can be used with the following manufacturers. SNAPPER/KEES 1696323YP. SNAPPER/KEES 7079371YP. Fits Models: 61" CUT MODELS USING PART NUMBERS LISTED. WINDSOR 50-4080. WINDSOR 50-3162. WINDSOR 50-2982. SUNBELT B1SB6168. STENS 320-014. 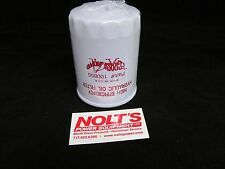 Up for sale is a new OEM fuse block part number 181722. GRASS HOPPER: 320242 320243 320245. Made by rotary corp. Who produces 200,000,000 blades each year. They average 1 blade per second, and every single one is made right here in the state of Georgia. Bobcat 4172503. Bobcat 61" zero-turn 200 942200-942299 rider drive units; 930022, 930023, 922010 and 934010A gear drives; and 930000-936406A power units and hydro drives. Delta 6201-342. California Prop 65 - This product can expose you to certain chemicals, which are known to the State of California to cause cancer or birth defects or other reproductive harm. 12V 30/40 AMP Relay. 5 Pin Relay. Sealed and 100% Waterproof. We buy direct and pass the savings to you. We know which belt works better and where … we have the best belt …period. · Smooth operation during frequent and severe shock loads. · You are buying a … Heavy Duty Industrial Belt. At OMB Warehouse, we strive to provide the greatest selection and quality of parts for your outdoor power equipment.Need other parts to complete your project? 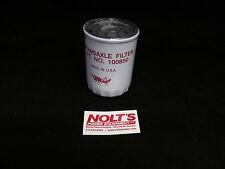 Check out our huge catalog - we have what you need.Transmission Filter / Grasshopper 100850Pack Size:1Grasshopper 100850, Snapper 7042715, Ferris 5021068X1, Wright Mfg. 34490002, Hustler 768341, Snapper 7042715YP, Gehl 78853, Hitachi 4265247, John Deere 4S00203, Vermeer 116050003, John Deere 4616542, Ferris 5021068X1SMChamp Labs LFF4295, Wix 33386, Napa 1785, Napa 3386, Landscaper Express 3449, NHC 264-8175, Baldwin BF954, Rotary 9464, Sunbelt B1OF212, Sunbelt B1OF211, Sunbelt B1HP600GEHL SL-3610 and SL-3615; Grasshopper 700 series Gemini Transmission and 618; Hitachi CH40-2, EX50 and. 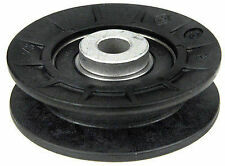 This bushing fits most of the front mount mower decks 600, 700 and 900 series. Complete with a sales, parts and service team. Trending at $7.85eBay determines this price through a machine learned model of the product's sale prices within the last 90 days. 2 Sets (6 blades). 1/2" Center hole. SNAPPER 7-9222. 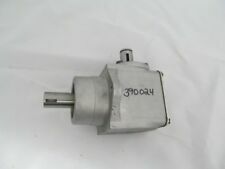 RICH MFG 10558-61. LESCO 050124. WOODS 70134KT. 1 X REGULATOR / RECTIFIER. We will work on resolving your particular case ASAP. Exactly work as genuine parts. Just give us the opportunity to resolve a problem. Trending at $24.20eBay determines this price through a machine learned model of the product's sale prices within the last 90 days. Up for sale is a new OEM light switch part number 184179. 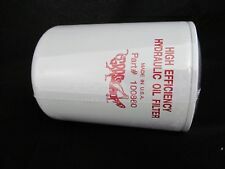 Up for sale is a new OEM hydro filter. Due to California's Proposition 65 this item is not available for sale within the state of California. Trending at $20.25eBay determines this price through a machine learned model of the product's sale prices within the last 90 days. Made by rotary corp. Who produces 200,000,000 blades each year. They average 1 blade per second, and every single one is made right here in the state of Georgia. They are high quality and hand sharpened (not pressed) and is the sharpest blade on the market. WOODS/HESSTON: 3 for 61". Canceling Your Order. We recycle! Our team works hard to find you the best deals and provide you with a wide selection of products. 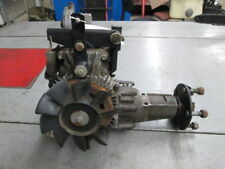 REPLACES OEM #320242. MODEL NUMBERS ARE USUALLY FOUND UNDER THE SEAT OF YOUR MOWER. 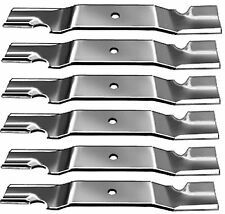 FOR 61" UNITS--SET OF (3) BLADES. 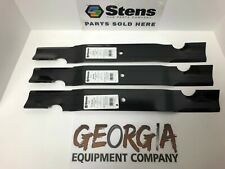 STANDARD LIFT HEAVY DUTY BLADES. RIDING LAWN MOWER/GARDEN TRACTOR/ LAWN TRACTOR. SERIOUS, HEAVY DUTY BLADES! Grasshopper lawnmowers offer efficient lawn care for homeowners and professionals. Their line of powerful lawn care machines features zero-degree turn capacity and custom cuts including mulching, side and rear discharge, and vacuum pickup. 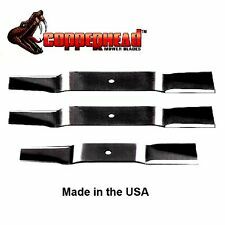 You can buy replacement blades and parts to keep your mower in top running condition. What are OEM Replacement Parts? 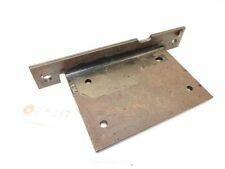 OEM stands for original equipment manufacturer; the phrase means that the replacement item comes from the same manufacturer as the original item on your mower. The company uses components made to their order by suppliers. An OEM replacement must be made by the manufacturer's designated supplier. Items made by other suppliers are called aftermarket parts, and they can meet or exceed the original's quality or performance. Some aftermarket replacements offer lower prices than OEM items, and other aftermarket components may offer innovations. Lawnmower manufacturers frequently recommend OEM replacements. How do you find the right part for your mower? Replacements depend upon the machine’s model and year. The first step is to locate your model number and serial number. On front mount deck models, the manufacturer stamps the information on a metal plate located on the right side of the deck. On mid-mount models, the manufacturer installs a metal information plate on the metal frame beneath the driver seat. When selecting replacements, you should make sure they work with your model number. 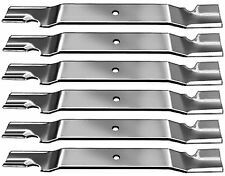 What type of riding mower blades should you buy? Grasshopper designed blades for different types of mowing. Their riding mowers use six types of blades for cutting work as listed below. You can buy the type that came with your model or add new cutting tools. Hi-lo mulching type leaves tiny clippings to nourish the soil. Medium-lift blades must be used with vacuum systems, and they work well with a side discharge system. Contour blade is optimal for manicured cuts and dry sandy soils. High-lift notched blade is the recommended all-around blade for wet or dry conditions. Extreme high-lift notched blades work non-mulching high powered and liquid-cooled power plants with 23 HP or more. Shredders lift and cut grass into tiny pieces. Can you replace OEM items with aftermarket components? OEM replacements essentially equal something that came with the machine. Aftermarket manufacturers can offer different combinations of materials and designs from the OEM item. Using aftermarket replacements can be a matter of your tastes, preferences, and economics. 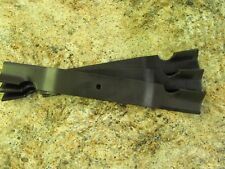 For example, a manufacturer may offer a replacement part with heavier metal and more resistance to wear than an OEM part. Like any purchase decision, you can weigh the advantages and make a selection based on your priorities. How do you find the names of the parts? You can start with the information that came with your mower; it has a user’s manual and detailed lists and diagrams. If you do not have the manual, you can get a copy from the manufacturer or download it from the manufacturer's website. Once you have the owner’s manual, you can identify the parts by looking at the diagrams. Content provided for informational purposes only. eBay is not affiliated with or endorsed by Grasshopper.